“Breaking Bad” has another 16 episodes left. 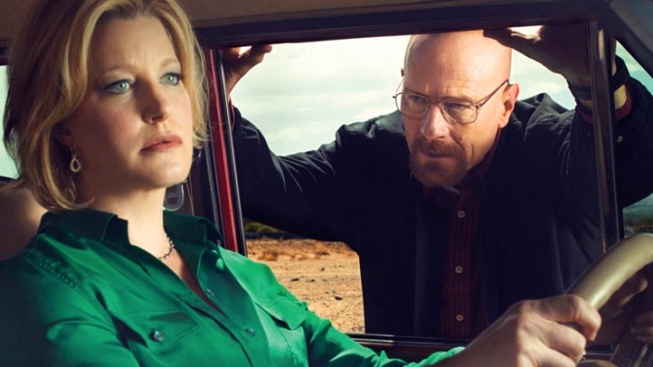 After some debate (not unlike the “Mad Men” talks earlier this year), AMC and Sony Pictures Television, which produces “Breaking Bad,” worked out financial differences that will carry the show until 2012, or even 2013, depending on how they allocate episodes. Vulture reports that the show, about teacher-turned-drug-kingpin Walter White (Bryan Cranston), will most likely be split into two shorter seasons rather than a single long one. Earlier this year, AMC was busy striking a pricey bargain with “Mad Men” creator Matthew Weiner, who reportedly got $30 million from signing the 1960’s drama for two more seasons. Like most everything these days, AMC—and, by proxy, its shows like “Breaking Bad” and “The Walking Dead”—have been subject to belt tightening and rising production costs. Fans should no doubt be delighted the show will have time to arrive at a thoughtful, timely conclusion.